The Social Security system is really confusing. You may worry that receiving other benefits will affect your SSD or SSI payments. At Edgar Snyder & Associates, we understand that you have questions. We're here to help you understand the system. Generally, you can receive both Workers' Compensation and Social Security disability benefits. However, if you're receiving Workers' Compensation, the payments you receive from SSD will be reduced. The combined amount of the SSD you and your family receive, plus your Workers' Compensation payment, cannot exceed 80% of your average current earnings. If your Workers' Compensation payments stop, your SSD benefits will usually increase. If you receive Workers' Compensation, you probably will not be eligible to receive SSI benefits. However, there are exceptions. The only way to find out is to contact the Social Security Administration. Unemployment is defined by the Social Security system as "I am able to work, but I can't find a job." Remember, to be considered eligible for SSD or SSI benefits, you should have a disability or health condition that keeps you from working, and you are not currently seeking employment. If you receive Unemployment Compensation while your claim for SSD or SSI benefits is pending, and your claim is approved, your retroactive SSD or SSI benefits will be reduced for the time period you were collecting unemployment compensation. If you receive Long-Term Disability payments through your employer and you're approved for SSD benefits, your Long-Term Disability payments may be reduced. If you have questions, you should contact your Long-Term Disability insurance company for more information about your particular policy. Having private insurance, like a company pension or 401K plan, does not affect your eligibility for SSD benefits. You can receive benefits from an assistance program while your SSD claim is pending. If you are approved for SSD benefits, your benefits from the assistance program will stop once you start receiving SSD payments. If you have questions, you should contact the assistance program for more information. Public disability payments that are paid under a federal, state, or local government law may affect your SSD or SSI benefits. Also, a law or plan that pays for conditions that are not job-related may affect your SSD or SSI benefits. These public disability payments are different than Workers' Compensation, because the disability that a person has may not be job-related. Examples include civil service disability benefits, state temporary benefits, and state or local government retirement benefits based on disability. If you have one of these types of benefits, your SSD benefits will be reduced so that the combined amount of the two types of benefits does not exceed 80% of your average current earnings. 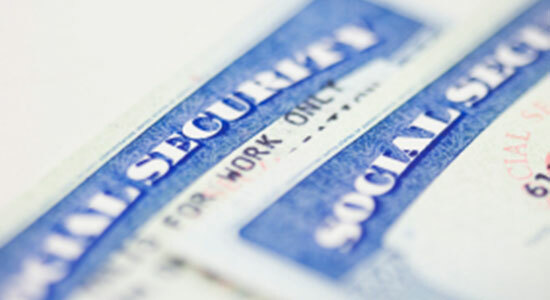 If you were receiving SSD benefits and you now qualify for Social Security Retirement benefits, your benefits will switch over to the retirement benefits. In some cases, depending on your earnings, you could receive SSI benefits in addition to your retirement check. However, you should contact the Social Security Administration to see if you're eligible. If you receive Veterans' benefits, your SSD benefits should not be affected. However, if you receive SSI, your benefits may be reduced. To qualify for SSI benefits, you cannot receive more than a certain amount. If you receive more than the amount – determined by the Social Security Administration – you may be ineligible to continue receiving SSI benefits. Denied SSD Benefits? Need Help Applying? Contact our law firm today for a free legal consultation. Call 1-866-943-3427, or fill out the form at the top right of the page to get started.